Today is the last day of Santorini Experience and it’s time for swimming. 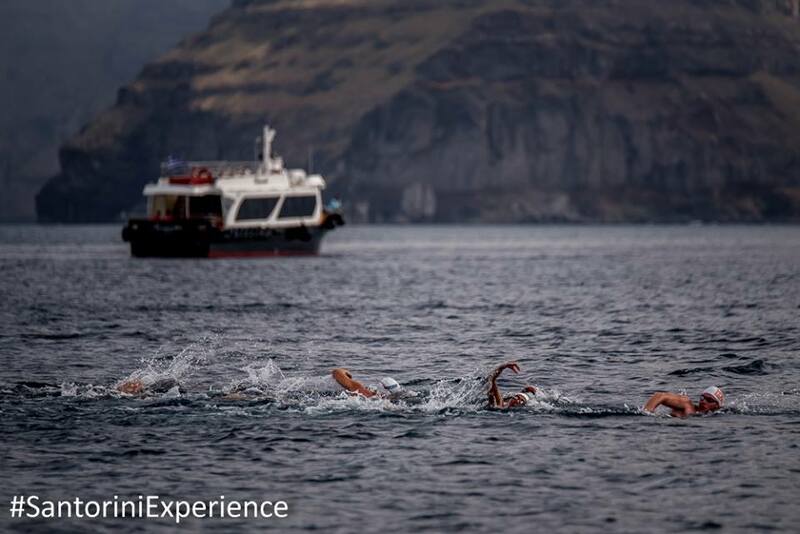 Swimmers will be transported from the Old Port of Fira to the volcanic islet of Nea Kameni at 09.30 and the competition starts at 11.00. Many Greek and foreign athletes participate in this unique swimming route of 1.5 mile (2.4 km). Among them 44year-old Attila Manioki from Hungary, an ultramarathon swimmer who is a champion in open water swim races and belongs to the International Marathon Swimming Hall of Fame (IMSHOF). Manioki has completed hundreds of swimming marathons and has swum twice the distance of 90km. In 2008, he swam 79.6 km along Lake Balaton between Balatonkenese and Keszthely in 25 hours and 32 minutes. More than 10 athletes from the Greek National Swimming team will also take part! So, if you want to watch the athletes’ efforts from up close and personal and feel their adrenaline, you can take the cable car from Fira to go down to the Old Port in the morning. Otherwise, Fira can offer views from above!